Amal Unbound is an inspiring story that keeps the pages turning and the readers wanting more. Amal lives in a small Pakistani village with her mother, father, and sisters: Safa, Rabia, and Seema. Amal’s mother is pregnant at the beginning of the novel, with the whole village watching over her hoping to see if it is a boy. “ ‘How’s your mom?’ Hafsa asked. ‘My mother said her back is hurting.’ ‘It’s gotten worse,’ I told her ‘She couldn’t get out of bed yesterday.’ ‘My mother said that’s a good sign. Backaches mean a boy,’ Hafsa said. ‘I know that would make your parents happy.’ ” (6). Her mother soon gives birth, but to a girl, and gets hit with postpartum depression, however, nobody knows that is the diagnosis. Because of this Amal, who is the eldest daughter, is left to take her mother’s role, for the time being, meaning she must leave school in order to perform the household tasks waiting for her. Leaving school is hard for Amal because she loves learning and hopes one day to become a teacher, just like her current teacher Miss. Sabia. One day Amal sneaks out of the house to buy a pomegranate at the market. Right as she is leaving the market, she is hit by a car, causing the pomegranate to be knocked out of her hand and her leg to be badly injured. The man riding in the car picks up the pomegranate and asks Amal if he could have it because his mother loves pomegranates. But Amal takes it out of his hand because she feels that he is mocking her, and quickly runs back home. “Suddenly I felt tired. Tired of feeling powerless. Tired of denying my own needs because someone else needed something more. Including this man. This stranger. Buying me off. Denying me this smallest of pleasures.” (50). Little did she know that the man she talked back to was Jawad Sahib, one of the leaders of her village. Only days later did he appear at her house with a punishment for her actions: Amal would work for him in his house until her family’s debt would be paid off. Amal had no other option than to take his punishment, she did not know when she would ever see her family again, but she had hope that one day they would be reunited. While working in Sahib’s house, Amal made friends with many other servants like her including Nabila and Fatima. Amal was able to reunite with her family after several months after she overheard that Jawad Sahib killed Nabila’s cousin, freeing not only herself but the rest of the servants. The novel by Aisha Saeed consists of themes of hope and perseverance and the importance of education. Amal perseveres through the hardships of her life by trying to never lose faith. Amal’s hardships included leaving school, a place she loved and looked forward to, leaving her friends and family behind, especially her baby sister, Lubna, who she feared would never know her. Amal has hope that one day she will be a teacher and that everyone will be able to have access to an education. “I wanted to be a teacher when I grew up, and who better to learn from than the best teacher I ever had?” (2-3). Amal knew how important education was and how rare it was especially for girls. While Amal worked in the Sahib house, Jawad had set up free literary centers, which she had the ability to go to, even if she went only for publicity. Aisha Saeed wrote this story based on the real-life experiences Mala Yousafzai and other girls in Pakistan to show how important education is and how we take our lives for granted. 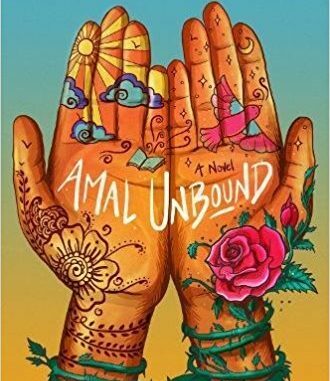 I think that Aisha Saeed’s novel Amal Unbound touches serious topics that the younger audience of the novel needs to know. For example, the novel discusses indentured servants, murder, and the power of the upper class. Most of the time people would rather have children in the dark about these serious topics, but I like how Saeed is bringing these topics to attention and showcasing the importance of these issues. I like how Saeed shows that way forward to overcoming corruption, indentured servitude and making education right for all by telling the story of Amal. Amal’s story serves and an inspiration for everyone because she is able to overcome the hardships in her life, no matter how tough they may be. “ ‘I’m not sure I’ve ever met anyone as brave as you,’” (211). 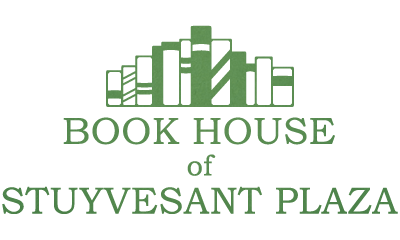 The themes of hope and perseverance and the importance of education are worked well into the novel. Amal is able to overcome hardships through hopes and perseverance and desires to be a teacher with hopes to spread education to all. Even though these themes are somewhat cliche, they pertain to the story. Aisha Saeed’s attempt to inspire her audience to be brave is executed very well because the audience is able to easily sympathize with Amal’s journey and her bravery. Many people take education for granted until they have it taken away from them, just like Amal. Saeed shows us that we should never take advantage of what we have and we should cherish everything, no matter the importance or size of it. Overall the book is written well for younger level readers. But there are noticeable spelling errors and misuse of words throughout the novel that can easily be fixed. However, the author gives a majority of the information of the reader without the need for interpretation or analysis, which is an important skill that young readers need to learn. 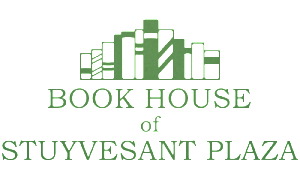 Young readers need to be exposed to higher level reading in order to improve their reading comprehension ability. I also wish that the author provided more symbolism in her novel in order for young readers to gain more reading skills that will be useful for the reader’s education. Overall, Aisha Saeed’s Amal Unbound is very successful in delivering its message and I would recommend to all middle-level readers. Camille McDonnell is a junior at Clayton A.Bouton High School.